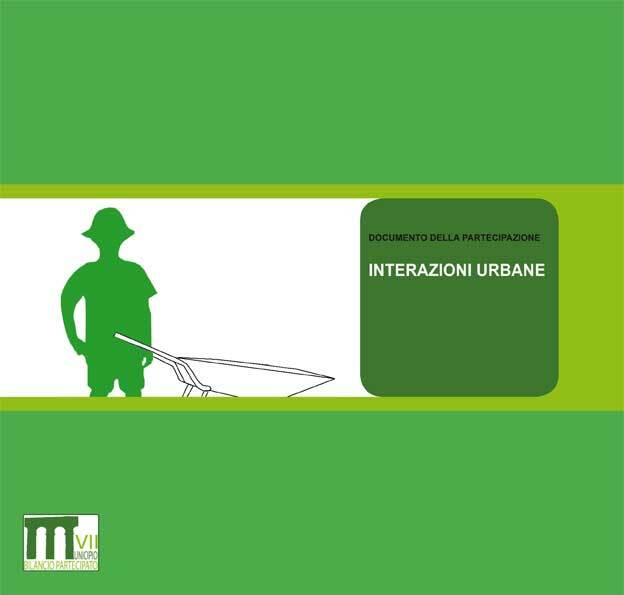 We are pleased to bring to your attention the publication on web of the book “Interazioni urbane” about the participatory experience for the Bilancio partecipato (participatory Balance Sheet) and the consequent Master plan proposal of the Municipality VII of Rome, 2009/10. Over 30 ideas proposed by the participants during the participatory meetings for each district are also available on line on http://www.bilanciopartecipato2010-rm07.info. One idea for each district has been chosen and voted by the participants and will be part of the future investments foreseen in the Municipality’s Balance Sheet. Other ideas on public space or general strategies have been included in the Municipality’s Master plan. Authors: studioUAP, in Rome, works mostly on public spaces and participation. Urban projects, architecture and landscape design are the occasions for experimenting models for the introduction of social interaction especially with children and low tech architecture. Research field on Rome, through Microcities (1999), Romalab (2005) and the Bilancio Partecipato (2009) together with architecture competitions (1st prizes Parco Radicelli and Paesaggi Mirati, 2008) has offered the opportunity to investigate themes applied to public works such as the kindergarten in Quarticciolo, the youth center in Corviale (innovation and urban quality prize EuroPA 2009).